I was there for a quick lunch before an errand. 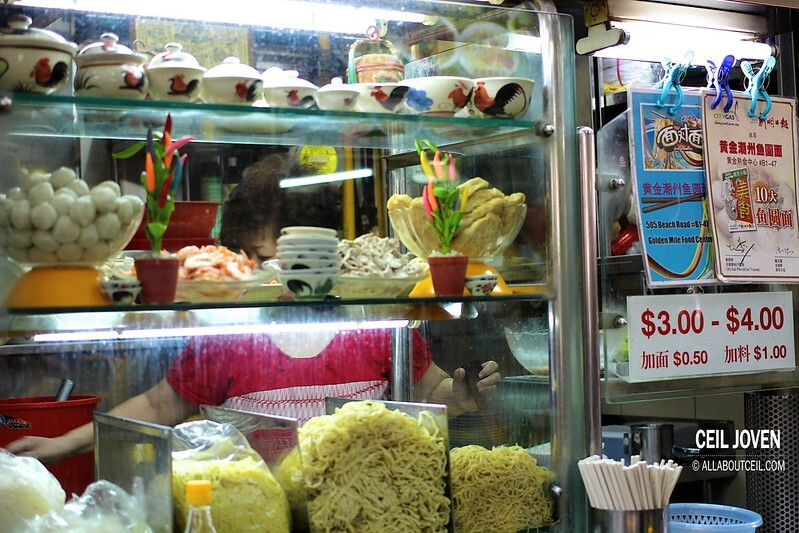 I remember this particular noodle stall and went looking for it. I tried it once but a rather long while ago. I remember it tasted quite nice then. 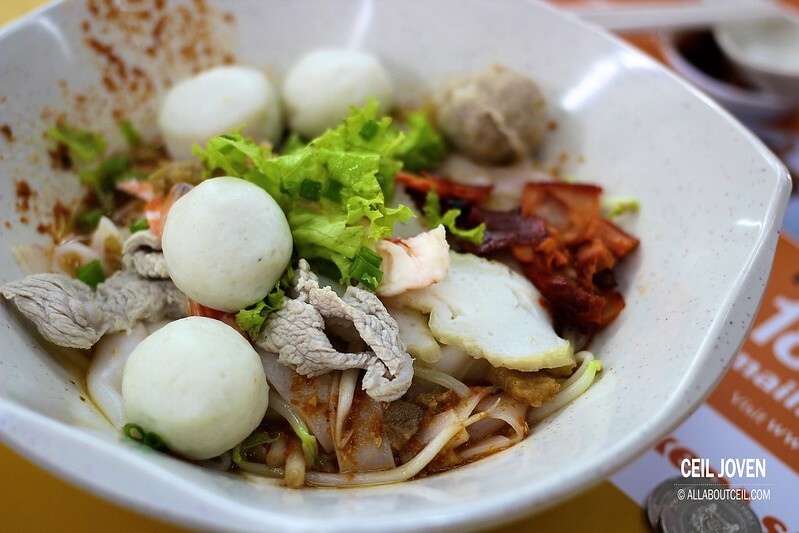 This stall has been featured on TV Programme as well as being selected as one of the best fishball noodle stalls in Singapore. This stall was manned by 2 elderly Aunties when i visited. One of them was taking as well as delivery the orders and the other was responsible for cooking. I was greeted by the friendly Auntie from far when she spotted me walking towards the stall. 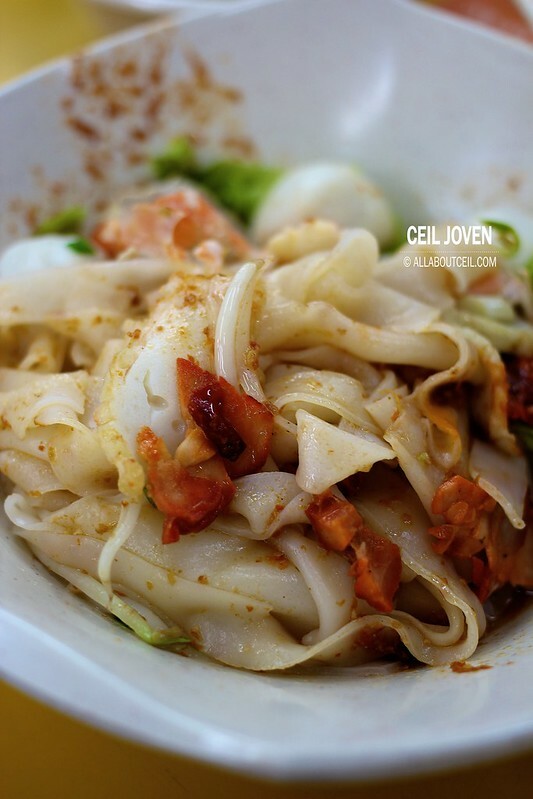 I ordered for dry kway teow with extra chilli added. I was given the selection between $3 and $4 to choose and i went ahead with the $4 bowl as i was rather hungry on that day. I took notice that extra noodle is chargeable at $0.50 cents and extra ingredients at $1.00. I seated right in front of the stall. The Auntie was rather efficient. She placed the chopsticks and spoon with the saucer of cut chilli right after i seated. She came back in a bit with the bowl of soup. 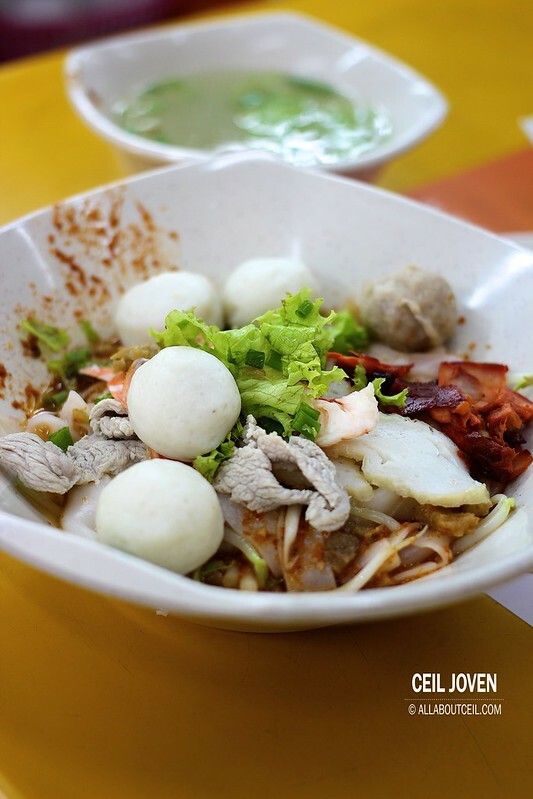 The bowl of kway teow was served in minutes. I tossed it well lightly to have it evenly coated with the chilli before i took the first mouthful. The color of chilli appeared to be rather light thus i somewhat underestimated the level of spiciness. It actually tasted spicier than expected but not overpowering. 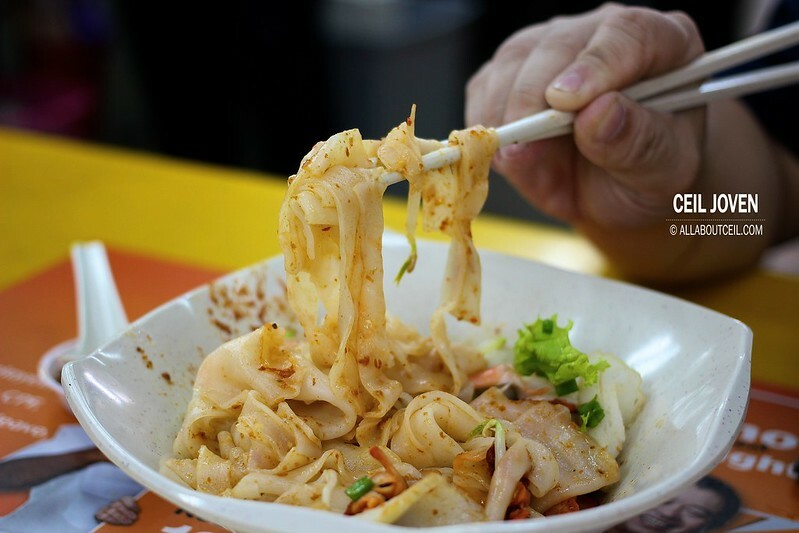 It is not easy to cook the kway teow without getting it too short and ended up breaking it up into smaller pieces. I would think the Auntie has done it well to cook it just right to give it the desired softness. 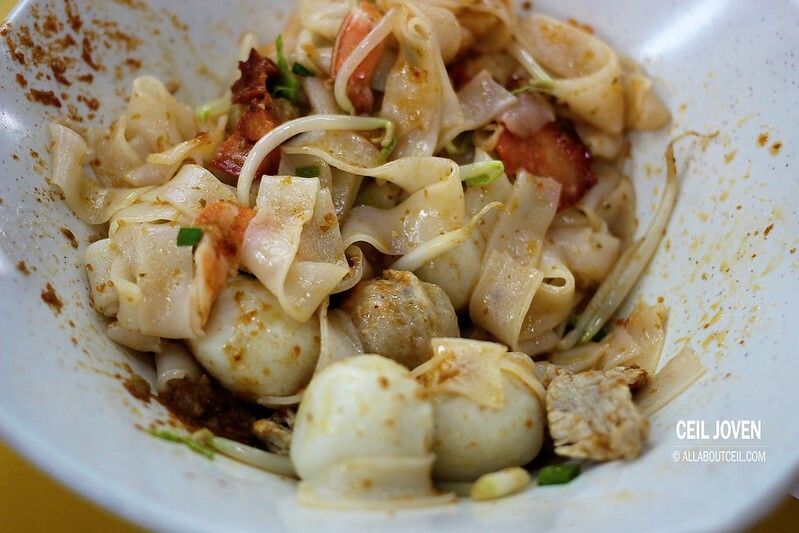 A substantial portion of kway teow served with ingredients like slices of char siew and fishcake, fishballs, meatball and a piece of prawn. This is the first stall i came across that served slices of char siew in their noodle. 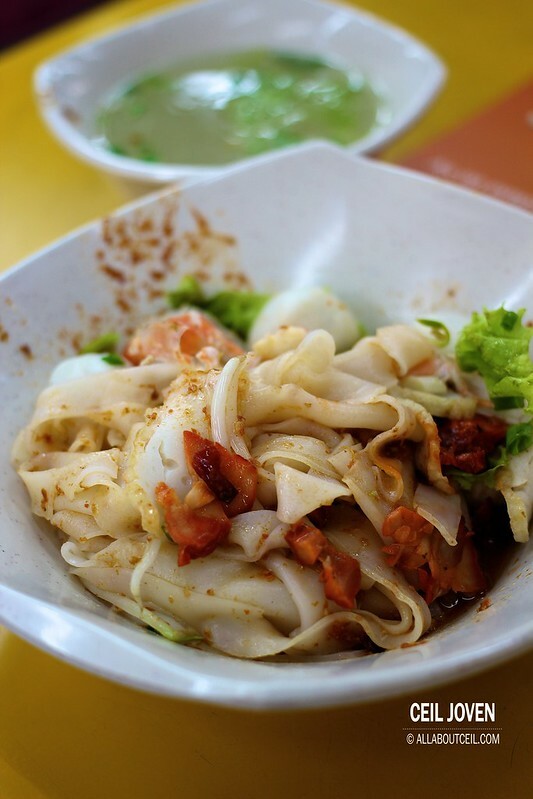 Though the signboard has indicated it is the Teochew style of noodle but i have eaten enough to know almost all other Teochew style Fishball noodles do not include char siew as part of the ingredients. The bowl of soup that served along tasted slightly plain. I enjoyed my bowl of kway teow though it might not be the best that i have eaten but it could still be a good choice for a bowl of comforting tasting noodle.